September is usually tinged with a hint of sadness, what with going back to school, the nights drawing in and the weather starting to get autumnal (although the hottest day of last year was recorded in September). This year also sees the demise of one of NASA’s greatest missions, Cassini. 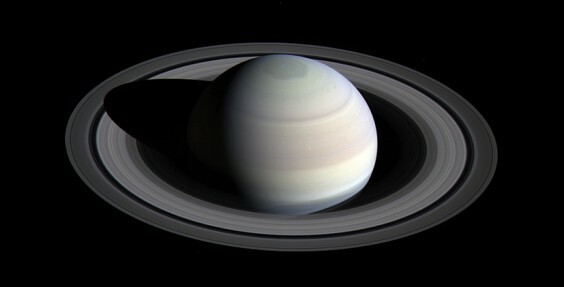 This is the probe that has been orbiting Saturn for 13 years, sending back stunning pictures – have a look at the NASA website. On the 15th, it will descend and burn up in the planet’s atmosphere, sending back data to the very end. On the positive side, we can see Saturn quite easily now, although you might have to squint a bit to see Cassini. As soon as it starts to get dark, look to the south and there it is, with the Moon close by to the left for the first few days of the month. It is never very high at this time of the year so it’s difficult to appreciate its beautiful, silvery sheen. It sinks lower as the sky gets darker and is gone by midnight although it will be visible all month, thanks to the Sun setting earlier each day. If you have a telescope of any description, you MUST point it at this planet; it is a sight beyond words. If you’re quick, you should catch Jupiter in the glow of sunset but it is very low now and disappears by nine o’clock. A very thin crescent Moon is close by on the 21st and the 22nd and from the 25th to the 27th, it thickens up to visit Saturn, full Moon being on the 6th and new Moon on the 20th. Those people lucky enough to be up and about at five o’clock in the morning get to see Venus too. It is visible over in the east from about four till the Sun spoils things just after six. Sharp-eyed observers might just be able to catch Mars and Mercury close together, below Venus in the glow of the sunrise. You should be able to find Mars easily because it‘s very close to the bright star Regulus, and then use it to find Mercury to the right. These two planets are almost on top of one another on the 17th and a crescent Moon joins in at this time for a couple of days, making a fabulous tableau. It’s a busy time at the International Space Station too. First, Expedition 52 astronauts will climb into their Soyuz and leave the station. We are unlikely to see them from here because after half an orbit, they will descend to land in Kazakhstan, which is nowhere near Alvechurch. On the 12th, an Orbital ATK spacecraft launches to the station with supplies. If this doesn’t dock immediately, it may become visible; only time and http://www.heavens-above.com will tell. The same is true of Expedition 53, which is due to launch the following day, carrying three new astronauts to the station. Don’t forget, on the evening of the 22nd, the Sun crosses the Celestial Equator and the nights start to get longer than the days!